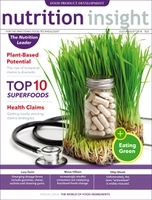 --- Key suppliers offer their thoughts on the nutritionals industry. How can the sector meet the health concerns of an aging global population? 07 Aug 2018 --- Key suppliers offer their thoughts on the nutritionals industry. How can the sector meet the health concerns of an aging global population?